Nathan Cleverly’s eagerly-awaited grudge rematch against fierce British rival Tony Bellew is in line to be held on November 22 at the Echo Arena in Liverpool. 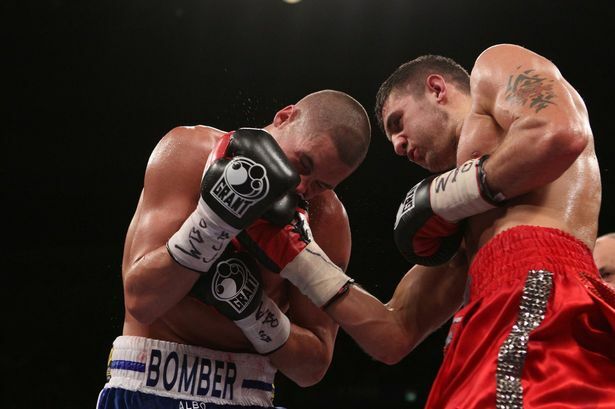 The fight comes three years after Cleverly beat Bellew to retain his WBO light-heavyweight title. After losing his WBO title to Sergey Kovalev in August 2013, Welshman Cleverly moved up to cruiserweight. Bellew followed Cleverly into the division after losing to Canada’s Adonis Stevenson in a WBC light-heavyweight title fight in 2013. Cleverly stopped Alejandro Emilio Valori on his cruiserweight debut in July 2014, on the same Liverpool bill that saw Bellew beat Julio Cesar Dos Santos. The bitter feud between the two was reignited following Bellew’s win and Cleverly says he aims to “silence” the Liverpool fighter, while Bellew says he will end the Welshman’s career. The winner of the next bout is likely to qualify for a world title challenge, possibly against WBO cruiserweight champion Marco Huck from Germany. There will be a press conference next Wednesday with promoter Eddie Hearn expecting fireworks. "You can have all the fake hype in the world with people flipping tables but with Nathan Cleverly and Tony Bellew you really don't have to do that," Hearn told World Boxing News. "It is a genuine dislike and rivalry and it will be a wonderful fight on a great card in Liverpool. "I think the fight could go either way. Tony has looked great as a crusierweight although Nathan could have the mental edge on him as he has beaten him before. "It will be a close fight and they are both bang up for it. "They don't like each other, they are looking forward to the build-up and the fight. "The winner could fight WBO cruiserweight champion Marco Huck but I think both of them could go on to chlallenge for a world title. "But this is the biggest fight for both of them at this moment in time."